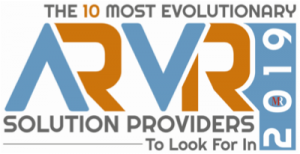 Paracosma Recognized as one of "The 10 Most Evolutionary AR/VR Solution Providers to Look for in 2019"
There were 242 press releases posted in the last 24 hours and 153,495 in the last 365 days. SAN FRANCISCO, CALIFORNIA, UNITED STATES, February 18, 2019 /EINPresswire.com/ -- San Francisco – Feb 18 2019 – Paracosma Inc is one of the “10 Most Evolutionary AR/VR Solution Providers to Look for in 2019" according to Mirror Review Magazine. The January 2019 edition of the magazine features the recognition along with an interview with Paracosma’s Founder and CEO, Ken Ehrhart titled “Paracosma: Creating Better Virtual Realities Through its Advanced AR/VR offerings”. In the interview, Mr. Ehrhart discusses the history of Paracosma, the evolving state of Augmented and Virtual Reality (AR and VR), Paracosma’s advantages as a high-value one-stop shop for AR/VR outsourced services and Paracosma’s expansion in Japan among other topics. Paracosma Inc is an Augmented and Virtual Reality design, consulting and systems integration company that provides solutions and skills to both small and large customers. Paracosma services include content creation, application development, and project implementation across a broad range of AR & VR platforms. Additionally, Paracosma creates its own content in the gaming, entertainment, tourism, enterprise and education/training spaces. Paracosma also has proprietary technology for producing, viewing, managing and distributing 360-degree photo and video content. Mirror Review is a Magazine Company with a mission to depict not only the achievements of companies and entrepreneurs but also to shed light on the innovations they are making that are disrupting markets. Their goal being to inspire and enlighten businesses and personnel around the world. Their team consists of creative people with expertise in distinct fields of the market that have come together to provide high-quality content to the professionals all around the world.